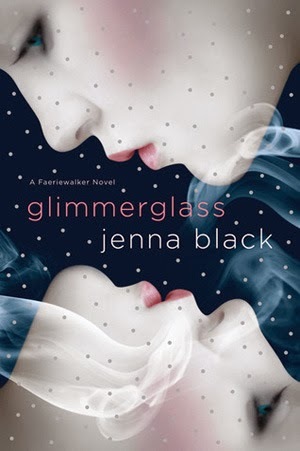 I'm cutting Glimmerglass a bit of a break here, because it was readable. Even though Black's writing wasn't the best in the world, she at least kept me engaged through much of the book. And I did get Dana, for the most part. Sure, jetting to another country (another realm, really) to meet the father that she'd never known wasn't the smartest choice. But who's been teaching Dana how to make smart choices? Not her alcoholic mother. And I could understand her feeling fed up and just wanting to get away. Her reactions to the newness of Avalon, a city that's part fairy and part human, rang true to me. But I did get frustrated with some of Dana's shallower moments. She got so distracted, so easily by any cute guy, and is willing to forgive a lot for a charming smile that she knows might not be sincere. Just the thought of the love triangle that will probably be in future books is enough to keep me away. And the writing... Not exactly accomplished. And it makes Dana sound even more immature than I think she's meant to be. There's a moment, late in the book, when Dana has nearly drowned. Naturally, she inhales some water, and naturally, she has to hack it back up again. Her reaction? "Ewww, gross!" Really? This is your thought upon nearly drowning, that coughing up water is kind of icky? It wasn't the only time that Dana's internal narration went for an oddly inappropriate line, or struck a tone that was greatly at odds with her personality in other situations. And it dragged the book down quite a bit, to have tense moments interrupted with something that just didn't gel. I probably won't be reading further. I wasn't engaged enough with the characters, the romance, or the setting to want to continue. There are some great ideas in here, though, which is almost enough to make me want to see if Black's writing improves. Almost.